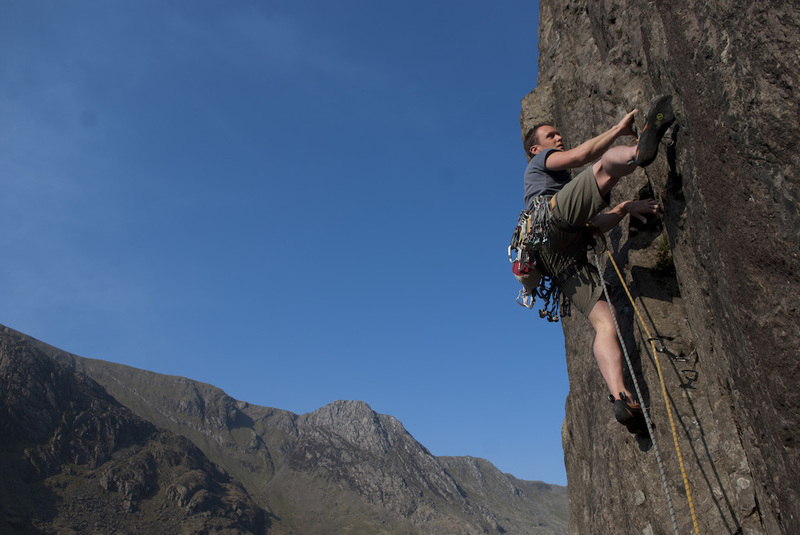 There are many different type of climbing rope, as the article at the bottom will highlight in hopefully humorous way just how bewildering it can be. Starting out though all you need to know is there are two main type of rope: Single and double ropes. In the main beginners want to start out with a full rope, as it can be used on it own and will make rope work a lot easier to start with. It will also last longer than a half or double rope. You best bet to start off with it to go for either a 50m or 60m. Also don’t go to thin as a standard single rope is around 10.5mm, any thinner and it won’t last as long. Unless you plan on going out in winter then you won’t need a dry rope treatment either. 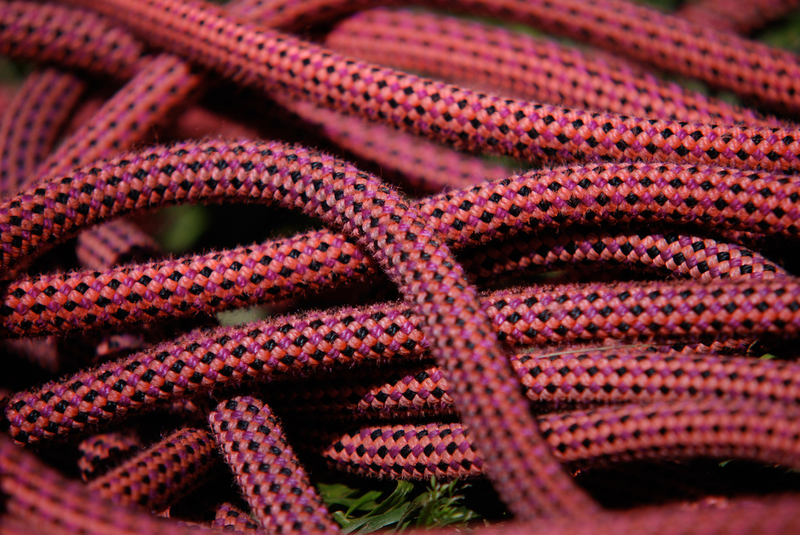 Single ropes are easier to use sports climbing and indoors and for easy trad climbing. However if you progress in trad climbing you will need to consider Double or Half ropes, as these are thinner and help reduce rope drag if use correctly and can allow you retreat a full rope length off if necessary. 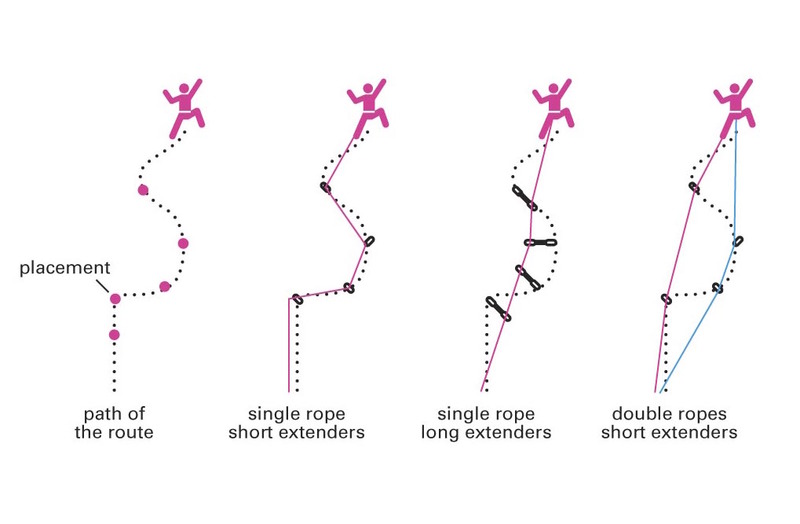 A different ropes and lengths of quickdraw can help prevent rope drag when climbing outside. Ropes can come from 40m to 80m. Dependant on what you are using it for then different lengths are requires. Indoors most walls are OK with just a 40m rope. Outdoor sport climbing you may need a 80m rope in some places, although many ropes are only 30m high so you can get away with a 60m rope. It may be worth see what you local sport climbing venue is like for pitch lengths before buying a rope. So I haven’t had any half ropes for some time and needed some for work decided to head to V12 Outdoor to buy a pair. As a qualified and experience outdoor professional I naively thought that this would be an ‘easy’ job. I walked in with the idea of seeing which was cheapest and going with that, however I hadn’t really thought the whole thing through. As I start looking at what I can only say is a vast array of ropes of nearly every conceivable length, colour of the rainbow, thinness, rating, treatment and brand. My first problem a common one for men was a question of length, I turned to my friend and said that “50m is for girls”, he said “but my ropes are 50m”, “exactly” I said. Now 60m is a good length but recently in Spain I had been climbing on 70m half ropes. These things are so long I swear you could do a retrievable abseil off the moon. Then I remember that I was going to go sports climbing this winter and maybe I would need that 70 or even 80m full rope to lower off some of those long routes. This basically then made the whole decision making process a whole load more tricky, as I picked up a pair of Jokers, the first rope to be rated as a both a single and a half rope. At just over 9mm in diameter it wouldn’t be the lightest option. Then someone piped up have you considered the triple rated rope? Well of course I hadn’t as I never even knew one existed. A rope that could be used as a single rope, half rope and twin rope. However these were not cheap, about £200 a rope retail price. I also think that these ultra thin single ropes are not what I need, I seem to hammer kit and a thinner rope in my experience mean they wear out quick as the sheaf by the very nature of the thinnest is, well, thinner. Despite this I felt that the flexibility of having a two ropes does all approach would be great, so asked to have a look. I was then asked do I want the new or the old dry treatment. The old was just a treatment to the outside of the rope where the new apparently was to the core and the sheaf. At the point my head near exploded, as to be honest ‘dry’ treatment to me seems like selling snake oil, as whilst yes it is water repellent, in a proper downpour in wales you are having a laugh if you actually think it is going to work for more than two minutes. I have seen the treatment literally wash off the rope on the first soaking. The price of two multi rope made me think about getting one of these thin multi ropes and one ‘normal’ half rope. Given there were two types of multi rated ropes I found and then many more choices for simple half ropes. Anything from 8.7mm to 6.9mm, but another problem I have had is using the thinnest diameter ropes of around 7mm in a guide plate and having the plate fail to lock as the ropes are too small for a normal sized belay plate, which means you need new belay plate as well. On the plus side at least this eliminated some choices from the decision. 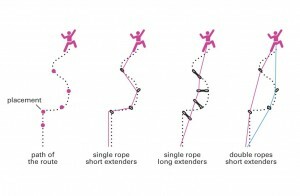 I then remember that the advertised length on the ropes are often wild guesstimates, so the thought of buying one rope from one manufacture and another from even the same but not technically a ‘pair’ would mean that the chances would be that the ropes would as a result be wildly different lengths. This could be a safety issue as it becomes easier to abseil off the end of one rope. So I then decided that I needed to buy a pair of ropes. I returned eventually to the cheapest cir they had, and walked out happy if not a little bewildered after an hour. After all I just wanted to buy a climbing rope!